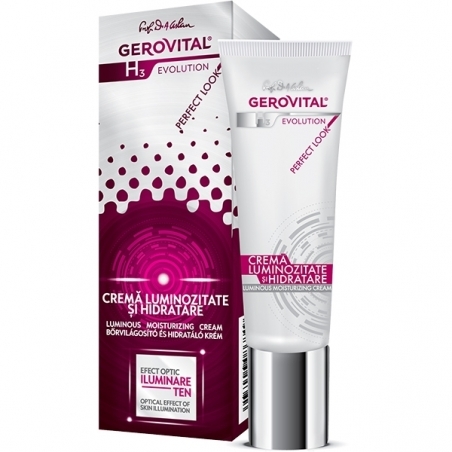 The Gerovital H3 Evolution Perfect Look line represents a step further in skin care products. It incorporates ingredients that create an optical effect on skin, revealing a visibly radiant, uniform, luminous complexion. The moisturizer has a triple effect on skin: it hydrates, smoothes the wrinkles and illuminates the complexion, leaving a natural radiance. Aquaxyl provides optimal moisture balance, skin nourishing and remineralization. 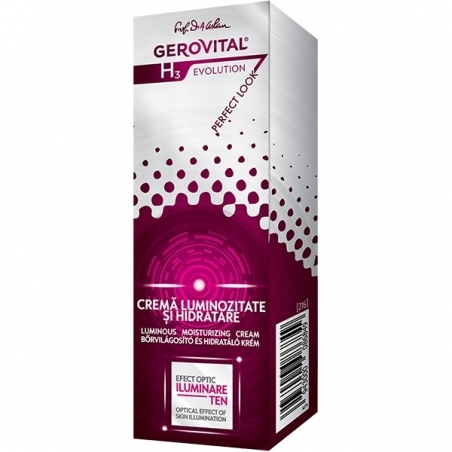 It increases the content of Hyaluronic Acid and stimulates the production of ceramides and the synthesis of proteins. Vitamins A and E help protect collagen and elastin fibers, preventing wrinkle appearance and diminishing the existing ones. Sepilift™ Complex proves skin firmness and corrects wrinkles. 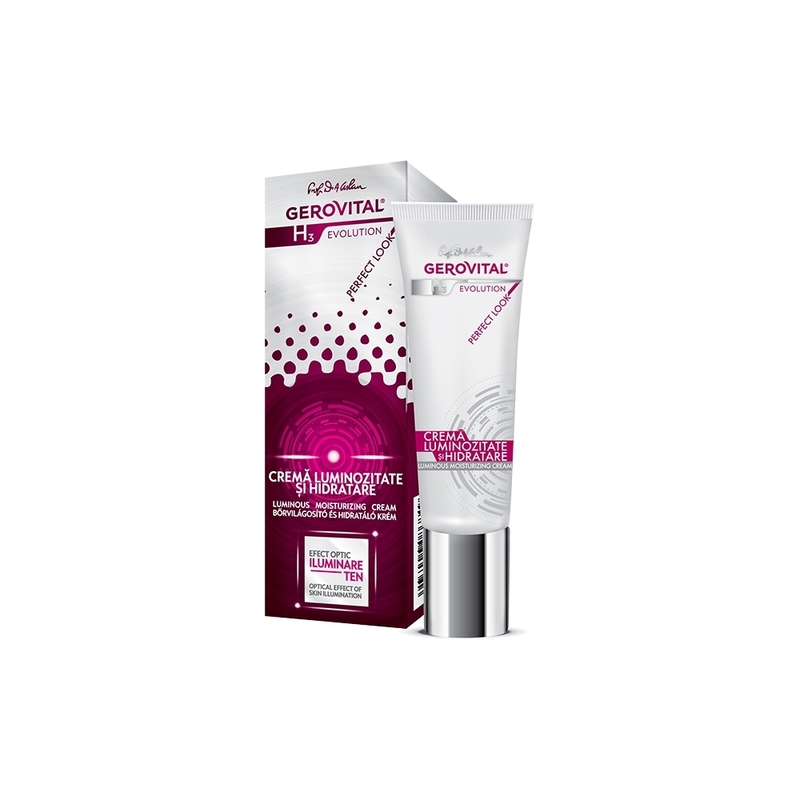 Protects and reinforces skin structure, having a triple firming action: it stimulates remodeling and contraction of collagen fibers, protects elastic fibers against enzymatic breakdown and scavenges free radicals. Apply in the morning on clean skin. 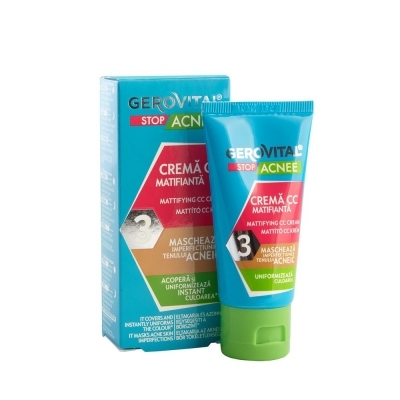 Massage gently with circular movements to help the cream's better absorption. Eco certified Goji berry extract 100% Natural Clay Sensitive skin. It efficiently and delicately cleanses the sensitive skin around the eyes and lips. Use daily, in the morning and in the evening. It's mineralizing formula effectively but gently removes the make-up from the delicate eye and lips area without causing irritations. - Urban anti-stress protection line. The elixir has a light texture with an exceptionally moisturizing and wrinkle filling action. Liposomal Hyaceramidyl - Combines Sodium Hyaluronate with Squalane and Ceramides. 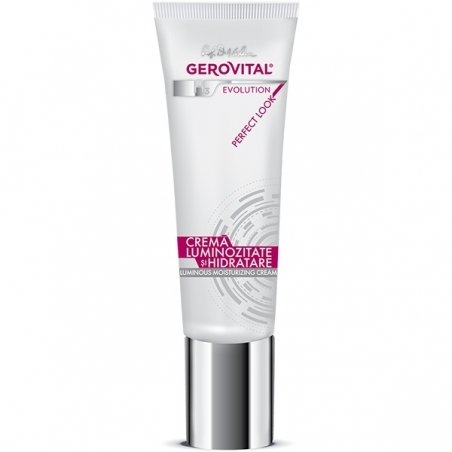 Moisturizes restores facial fullness in areas where volume is lost. Ferulic Acid - Scavenges free radicals and protects cells from environmental damage. In particular, it’s effective against two highly destructive free radicals, superoxide and hydroxyl radical. Rice Bran Oil - Reverses the effect of aging by slowing the formation of facial wrinkles. Natural Clay - A non-chemical treated, sourced from Pădurea Craiului Mountains, with remarkable remineralizing and toxin absorbing powers. 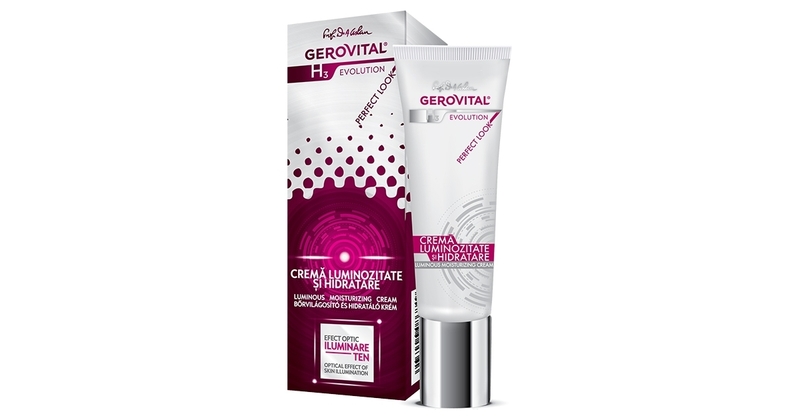 Restores skin’s radioactive balance and enhances its natural filter against UV radiations. Cobiodefender EMR - First active ingredient focused on reducing biological skin disorders resulting from exposure to Electromagnetic radiation (EMR). 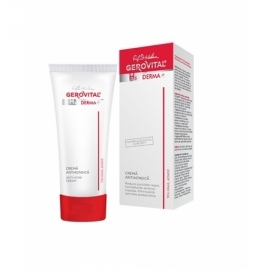 Usage: Apply after cleansing, morning and evening, on the wrinkle-prone areas. 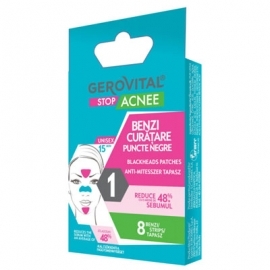 Efficiently targets blackheads, impurities and excess oil at skin level. Absorbs excess sebum and provides a mattifying effect. Improves skin elasticity and prevents skin aging processes. We delivery by DHL in any country worldwide.